Today, 18th July, is Nelson Mandela’s birthday. Celebrated globally as Mandela Day, it’s a chance to reflect on what Mr Mandela did to change the world, and what he stands for today. I had my own opportunity to come face to face with his legacy last year, while travelling in Namibia. Just 23 years old, the desert nation spent years under South African rule, and endured the same racist policies and atrocities, until independence brought peace and – if not equality – then at least opportunity. Namibia is a huge yet sparsely populated country, and its cities are spotless with wide streets, perfectly paved roads and picturesque touches of colonial German architecture. Under apartheid, the blacks were swept neatly into the neighbouring townships – where, despite freedom of movement, they generally remain today. These modern townships often contain more than double the population of the cities themselves, along with shopping malls, restaurants, makeshift bars and a buzz of life which I found strangely absent in the polished, gated city centres. While visiting the coastal town of Swakopmund, Namibia’s picturesque adventure sports capital, I was asked by my sandboarding instructor Pally if I fancied visiting the local township of Mondesa. I’d heard of “slum tourism“, “favela tourism” – and I felt uncomfortable at the concept. Modern travellers love nothing more than an authentic experience, but gawping at “real” poverty seems to be a step too far. But Pally had grown up in Mondesa, it was his home, and his mum was involved in organising the tour. That was the kind of endorsement I was looking for – if a tour was recommended by local people, then surely it couldn’t be guilty of exploiting them? I was picked up from my hotel the following morning by Nico, Mondesa resident and tour guide with Hata Angu Cultural Tours. Warm, smiley, he was keen to inform myself and the other guest about the reality of life in the township without glamourising or patronising. He was straightforward, eager to answer questions, and clearly very fond of his neighbourhood. I quickly realised that there were two things that distinguished this tour from its Indian or Brazilian equivalent. Firstly – the history. 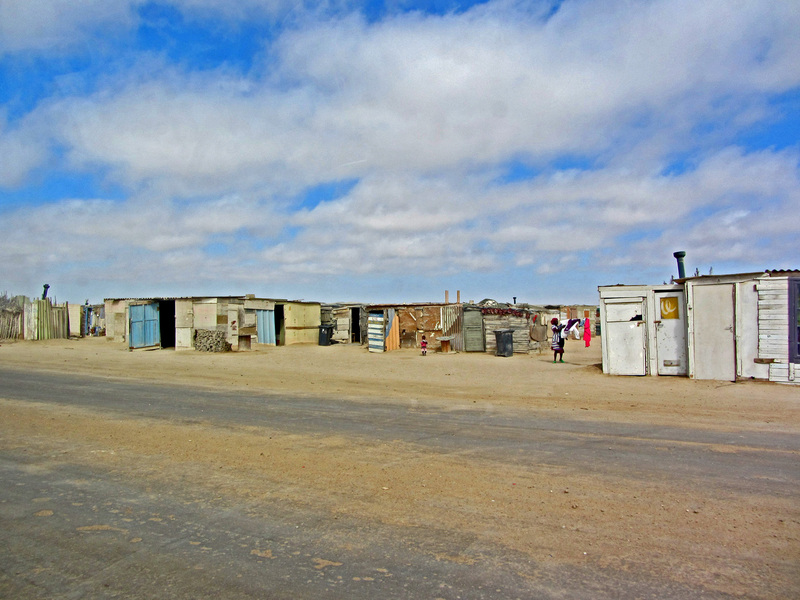 Rather than being the result of rural dwellers moving to the city in search of employment, Namibian townships were engineered by the South African government. Apartheid literally means ‘apartness,’ ‘the state of being apart,’ and to be confronted by the physical reality of this was incredibly shocking. Secondly, this was a cultural tour. 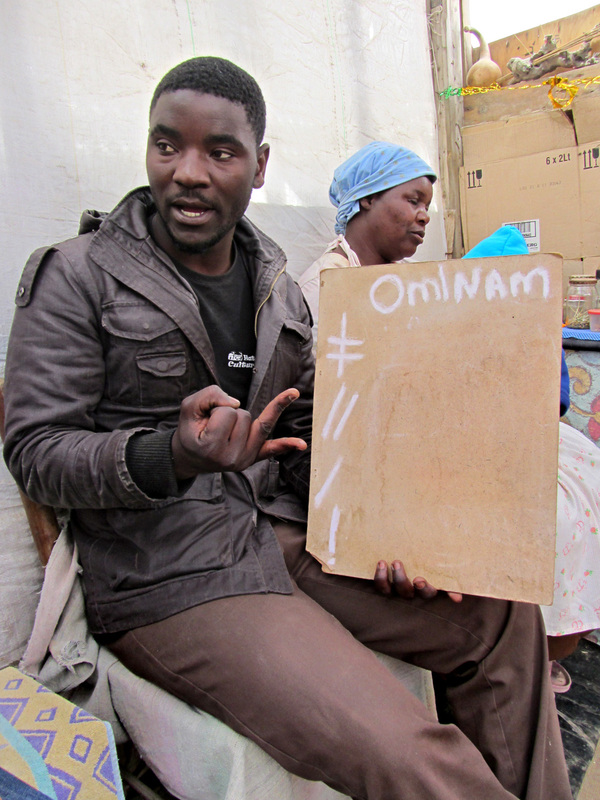 Members of distinct Namibian ethnic groups inhabit the townships, and under apartheid’s “divide and rule” policy, they were kept separate enough from one other that each tribe has retained its own language, beliefs, cuisine and dress. As well as enforcing curfews to keep the residents apart, the government treated each tribe differently to foster resentment between them. To unite could have led to them overthrowing the minority white powers. So the Ovambo people, numbering just over half the population, were given tiny houses and communal toilets. The Herero enjoyed three bedroom bungalows with inside bathrooms. And the Damara were placed in two bedroom housed with shared toilets. They were pitted against each other. 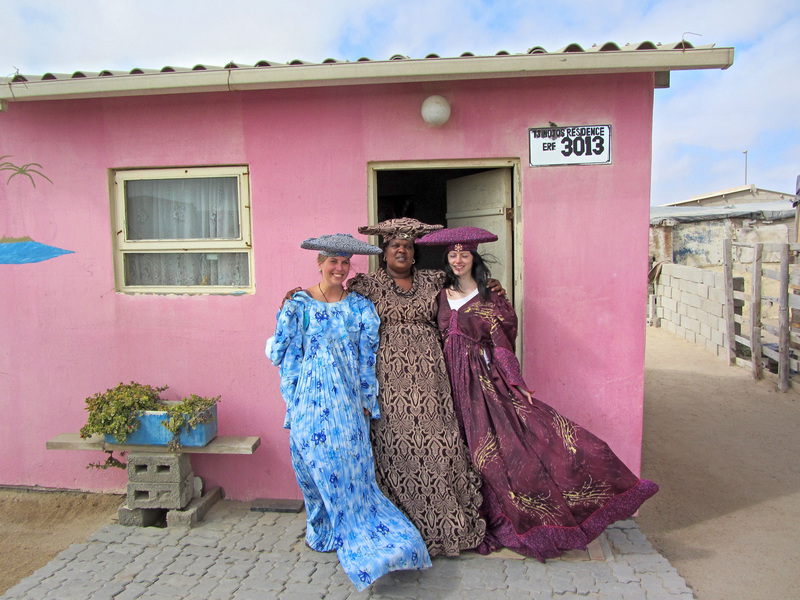 On this tour, we would visit a resident from each of the four main tribes, and we began with an invitation into the house of a wonderfully dressed Herero lady, “Mami” Talita. I greeted her with the standard Namibian three-way handshake as taught by Nico, and said “moharra,” the Herero greeting. Interaction was encouraged on this tour – this was no human safari. The tour company’s name – Hata Angu – means ‘let’s get to know each other’, and this was very much their philosophy. Asking questions, I learned about the Hereros’ dual religion, about the uncle heading the family, and about the a woman’s right to choose her husband’s second wife. Finally, unexpectedly, Mami Talita brought out an exquisite plum-coloured dress for me to try on. With the horn-shaped hat perched on my head – I felt positively regal. Next, we reached a Damara house, and suddenly the concept of township tourism was flipped on its head. The tiny, graceful Nama lady who greeted me here was the first female Damara chief. 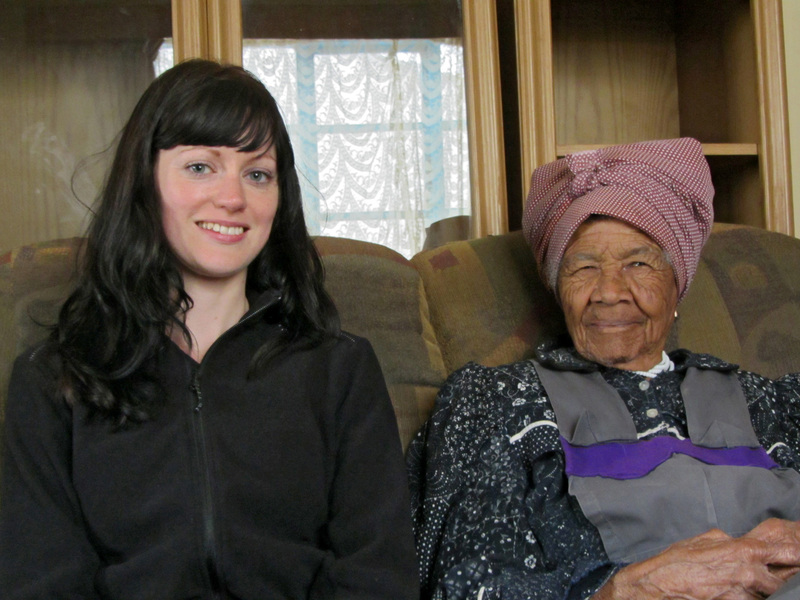 As old as Mandela himself, Oma Lina was wise, brave and had lived through the aftermath of German colonisation, followed by apartheid and independence. She was also the most powerful Damara in Mondesa. This was not a tourist looking condescendingly at the poor slum dweller; this was me entering the house of a respected chief and wondering if I was supposed to curtsey. In my scruffy traveller clothes, I felt really rather inadequate. As the Damara language uses complex clicks, I was unable even to greet her properly in her own language. After saying goodbye to chief Oma Lina, we drove beyond the boundaries of the township to the DRC – the democratic resettlement community. After the neat bungalows and paved roads of the township, the “temporary settlement” was much less inviting, and much closer to the slums I’d had in mind. The 7000 residents were mostly recent immigrants from rural areas, stuck in a zinc-and-tarpaulin limbo until they could find steady work in the city and buy a house in the township, or build their own. 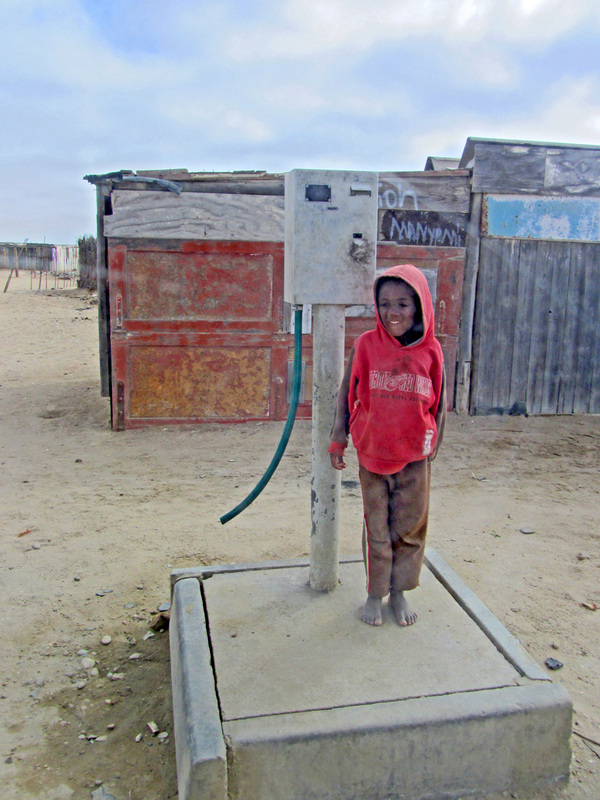 But even here, Namibia’s typical German-style organisation prevailed; though facilities were scarce, there were water pumps throughout the settlement which could be accessed with the use of a pre-paid card, and one latrine had been built for every two homes. In the DRC we met a Nama herbalist, who showed us her natural remedies for sickness, asthma and chest pains. The Nama also speak with clicks, and a brief lesson with Nico had me attempting to pronounce all four of them, much to the amusement of my hostess. To make the wrong click would change the meaning of the word completely – whereas /nam means ‘love’, !nam means ‘kill’. It was an impossible challenge. Returning to Mondesa, we cooled off in a neighbourhood shebeen with chilled drinks. Next door, in a purpose-built restaurant, traditional food from Ovamboland was being prepared – the day’s final cultural experience. 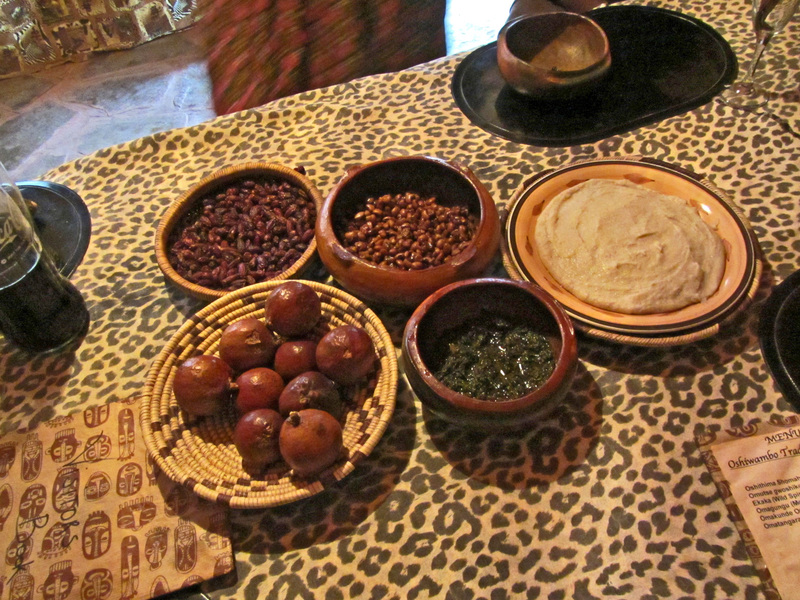 There was mahangu – a stiff pearl millet “porridge”; sweet, fibrous makalani nuts; and a traditional energy drink. In all, I spent two months living and working in Namibia, but strangely, thanks to the modern form of “elective” segregation, this tour was one of the only opportunities I had to discover the daily life of the majority of urban Namibians. I was welcomed into homes, was asked questions about myself, exchanged snippets of the language, and learned the differences between Namibia’s many cultures. But I also had one of the most memorable history lessons of my life as I walked through the past and stood together with those who I was supposed to be “apart” from. They could have rebelled, raged, resorted to violence – but they chose the peaceful route, and rather than claiming the townships for themselves, they were excited to welcome white people there, to share their stories. I was appalled by what I’d learned in the township, but somehow apartheid’s victims had mastered forgiveness. I visited Mondesa and DRC with Hata Angu Cultural Tours. 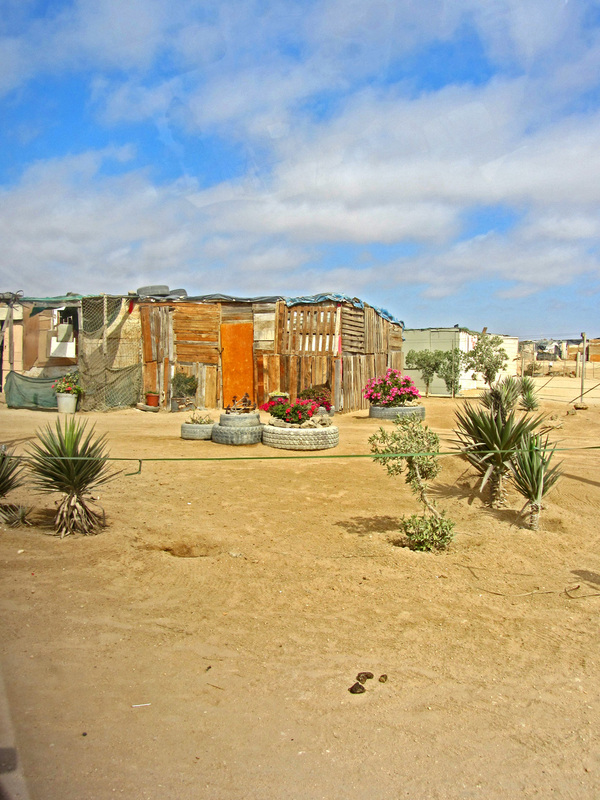 These tours usually take place in the morning and your guide will pick you up from your hotel in Swakopmund – book a day or two in advance. 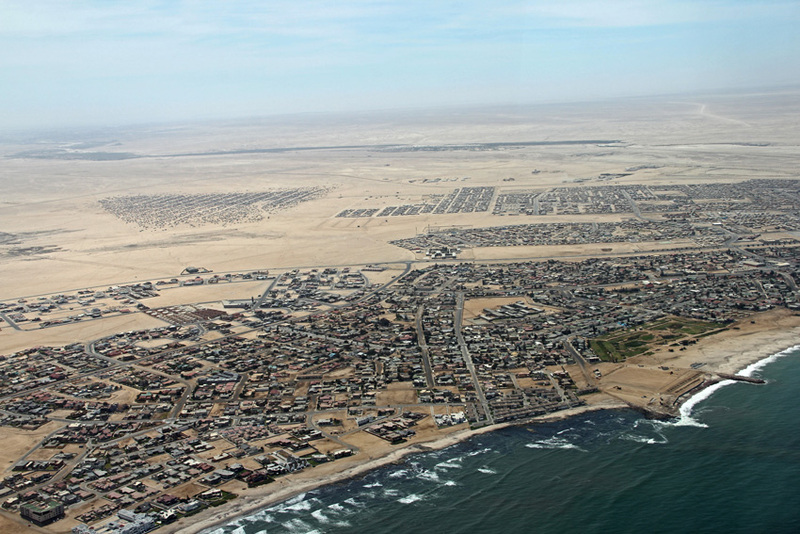 Swakopmund is a 4.5 hour drive from Windhoek. The coast has a cold, damp microclimate and the temperature can drop to around 10 degrees – so bring extra layers, even if it’s 40 degrees inland! Note: This is not a sponsored post, all views and recommendations are my own. Tags: africa, apartheid, culture, history, Mandela, namibia, tour, township. Bookmark the permalink.